Heavy duty pole, stand, and umbrella fabric that can withstand weather. Easy to open, close, and adjust without much fuss. Bright interior LED light for nighttime usage. 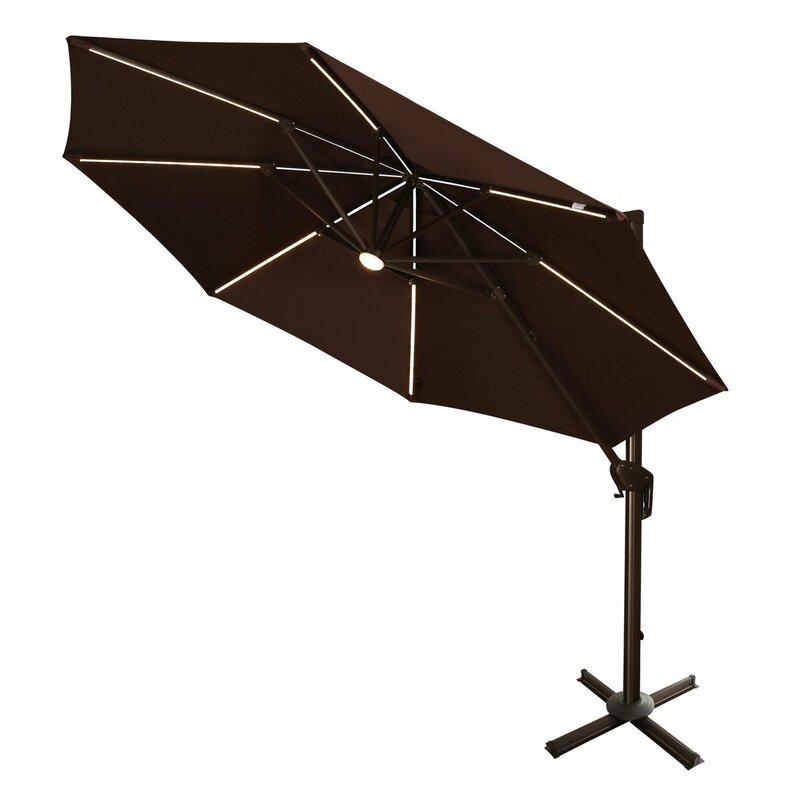 7+ umbrella positions and 360-degree rotation for easy adjustment to sunlight. Polyester umbrella fabric is easy to clean, fade-resistant, and ultra-strong. Umbrella does not come with weighted base included. Umbrella crank is difficult to use when opening up the product. This is the summary of consumer reviews for Ulax furniture 360 degree Rotation 11 Ft Deluxe Solar Powered LED Lights Outdoor Offset Hanging Market Umbrella. 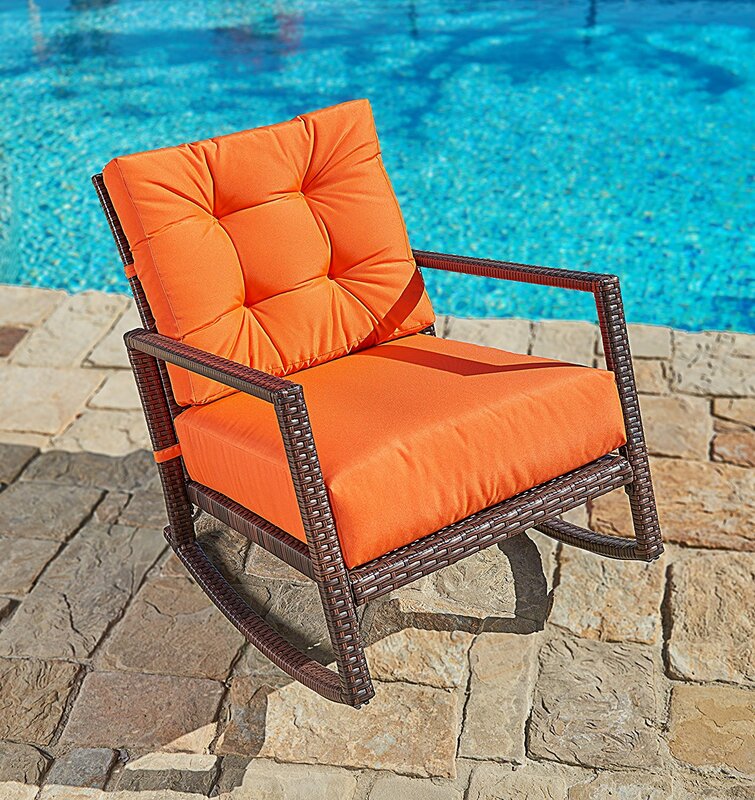 The BoolPool rating for this product is Very Good, with 4.40 stars, and the price range is $390-$650. 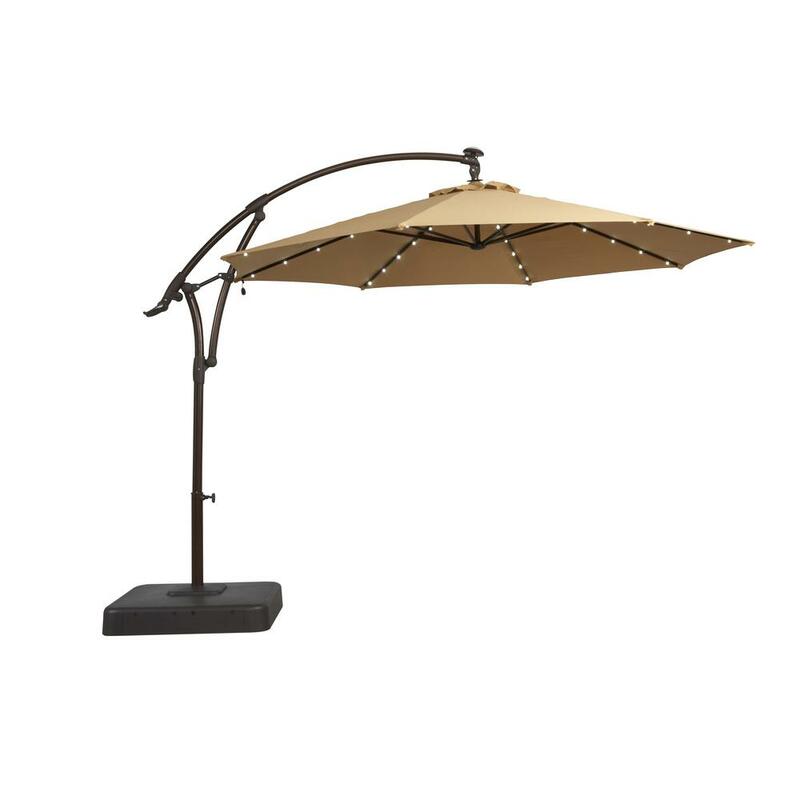 The Ulax furniture 360° Rotation 11 Ft. Deluxe Solar Powered LED Lights Outdoor Offset Hanging Market Umbrella is a nice addition to a patio or outdoor space for anyone who enjoys spending time outdoors, especially at night, or entertains frequently. 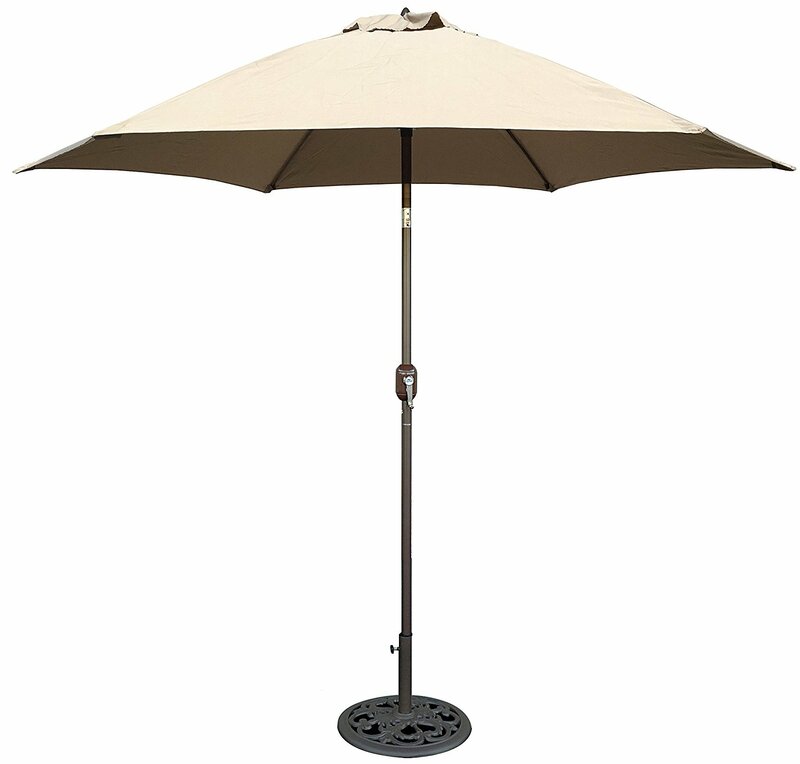 The steep price indicates how durable and long-lasting this product can be, fit with ultra-strong polyester umbrella top and weather-resistant yet light aluminum base, pole, and ribs, this umbrella is popular with customers who plan on plenty of regular outdoor use. 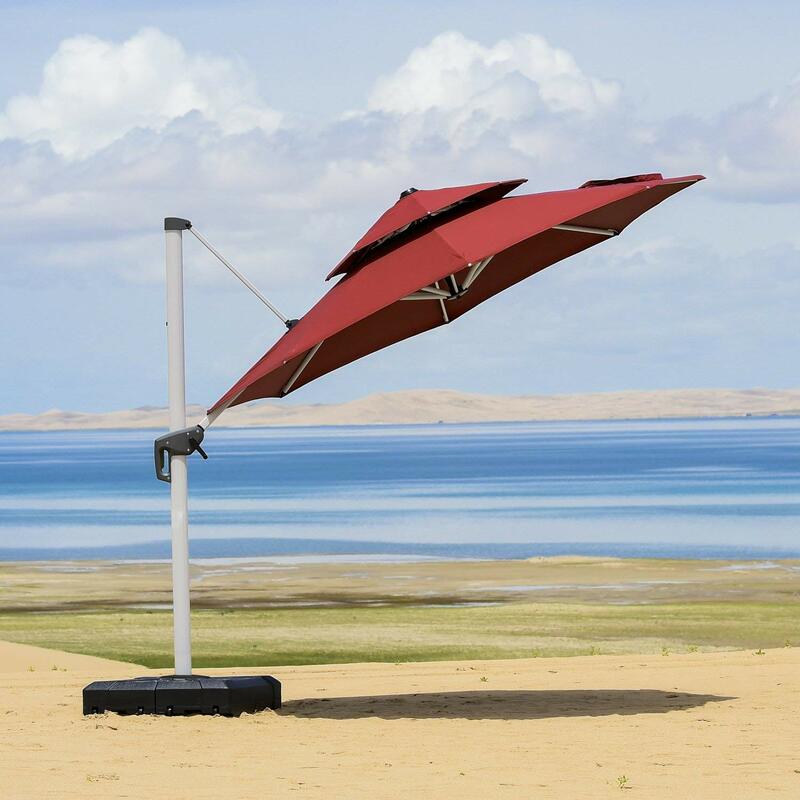 Users boast that the umbrella kit is easy to open and close by one individual, and the LED light stays charged for a number of hours, thanks in part to solar panels on top of the unit that powers the umbrella throughout the night. 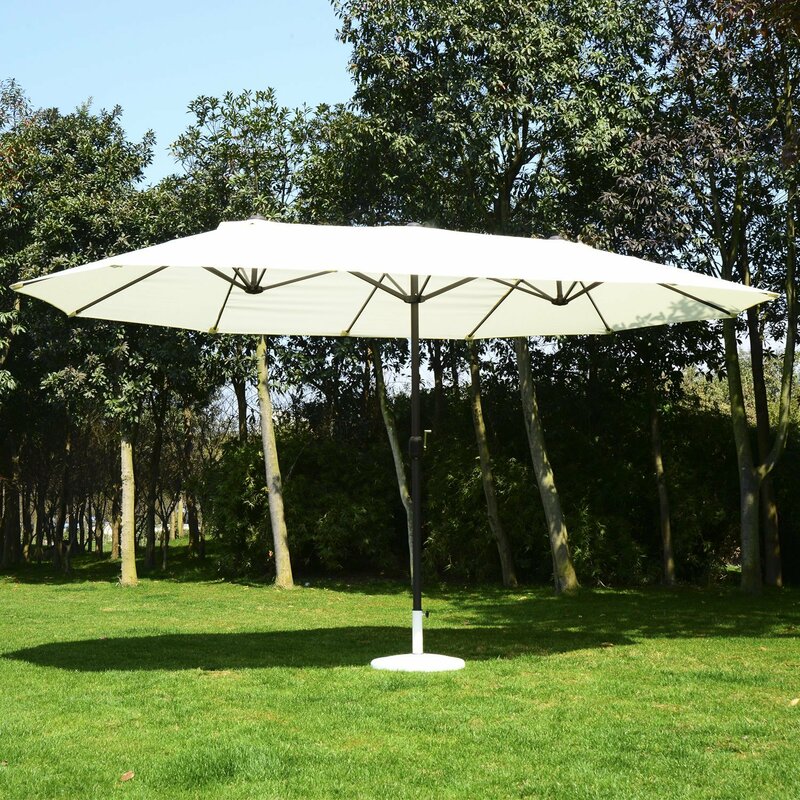 Also, one of the most popular features is found within the product’s name, as customers are impressed by the 360-degree movement and the easy swivel motion of the umbrella canopy. Some customers are disappointed that the umbrella kit does not come with a weighted base to stabilize the umbrella during windy conditions. Some say the large circumference of the umbrella easy catches the wind, and without a weighted base, the product is unusable. Even when searching for a weighted base, users have claimed to be unsuccessful in finding one that works well. Others also believe the price is overall too steep for the product they receive. 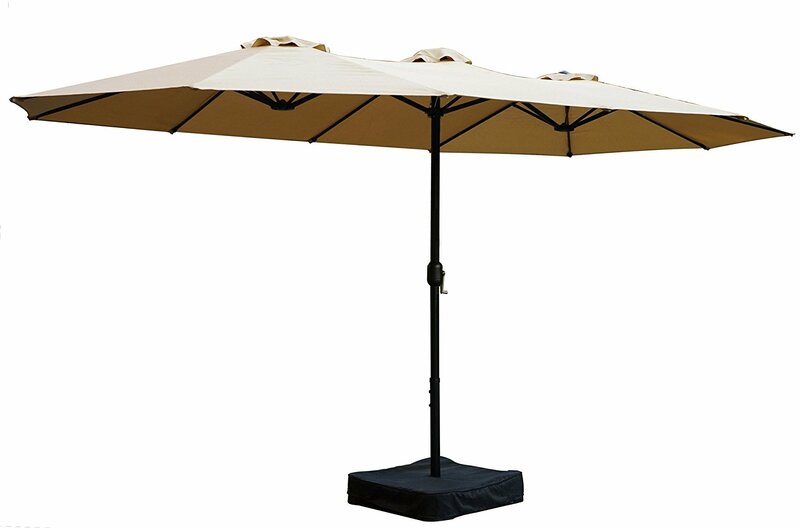 The Ulax furniture umbrella is a large outdoor umbrella that will shade customers day and night, and holds unique features like an LED light for outside entertaining that makes it one-of-a-kind. I was able to secure it to the deck with heavy duty zip ties, which is much less obtrusive than a big weighted base. it's nice but not for that price!. The umbrella seems nice so far, however, beware that the umbrella does *not* come with the "cover" pictured over the base of the umbrella. The mechanisms still work well, but it's awkward sharing one crank handle for two movements (umbrella open/close and rotation) because you need to do both every time you use it and you're popping the crank in and out every time. I wanted an additional crank and contacted customer service to see how I might obtain one. Please also note that, because of this, there's no easy way to weight the umbrella down to prevent it from tipping over. So far, I've been unsuccessfully in finding a weighted base from the manufacturer (or aftermarket) that'll fit this as the vertical pole isn't round but a rounded rectangle. was a little up set the picture is deceiving, I thought i was going to get the base with it but you don't that another $260.00 I think that the price. The solar lights being built in were a big hit at our first cook out we hosted with our new patio furniture and umbrella. When first discovered, there appeared to be 2 rows of LED lights. As I unpacked it there was no question I'm not the first owner. They're very flexible to move with the sun and easy to take up and take down. Recommend ABBA offset cantilever 4 pk base. Easy to put together and is easy to open, adjust, and close. 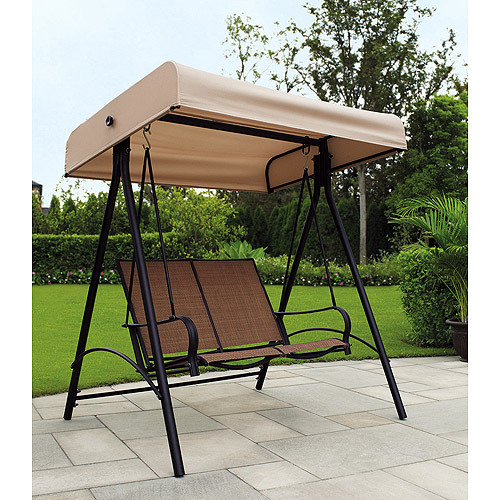 Large and easy to operate with great privacy. Unlike other similar products, this model both rotates 360* , and tilts, ( providing user with tremendous flexibility when selecting location for placement). Lights are just enough to provide some ambiance at night.